Within two years, at least 3% of all workers at firms with 100 or more employees must be disabled people, a new measure says. 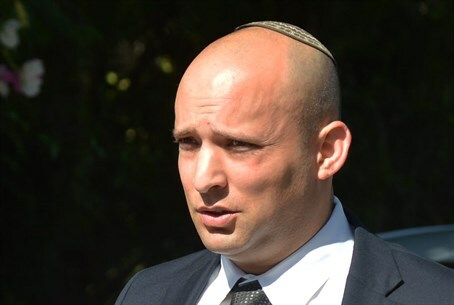 Within two years, businesses that employ 100 people or more will be required to hire at least 3% of their workforce from among the disabled population, according to a new measure signed Sunday by Economics Minister Naftali Bennett. The measure codifies an agreement on the matter set three months ago between groups representing Israeli manufacturers and the Histadrut. The order will cover all segments of the economy. Although the employers have two years to fully comply with the measure, they will be required to hire at least 2% of their employees from the disabled population by next year. Organizations that fail to do so could be fined. The specific disabilities that will be eligible for compliance with the law will be laid out by a subcommittee that will discuss the matter. Speaking Sunday, Bennett said that his office “is working to help those who don't always have representatives lobbying on their behalf, unlike those advocating for the defense budget, for example. This new measure is a Rosh Hashana present for all Israelis, not just the disabled,” he added.